I like making lists. I think that they make things much easier. Today I’m helping my mom out by making grocery lists, multiple depending on sales and coupons. Also lists for what needs to be cleaned, trying to get everything done and in order. Then she says make one for Jo Ann. 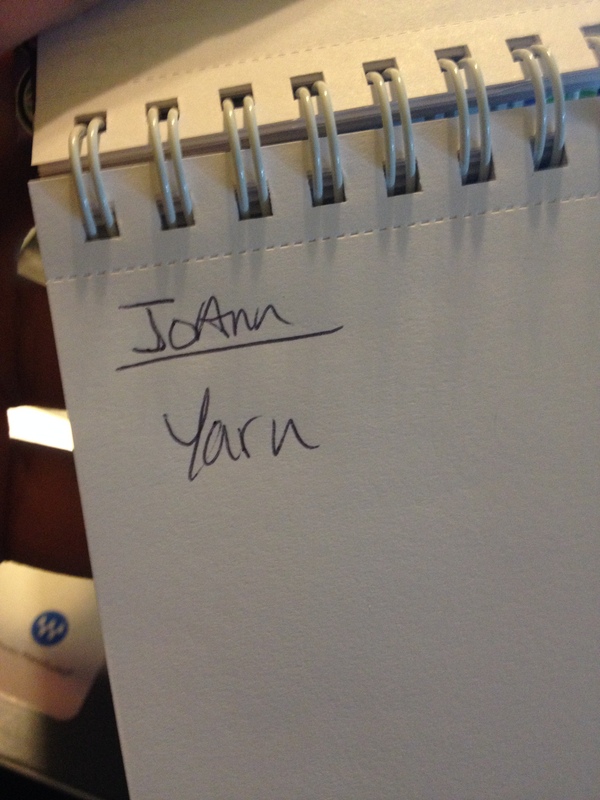 She says just write down yarn so we can get whatever we want and keep it open ended. I have to say my mom is smart.